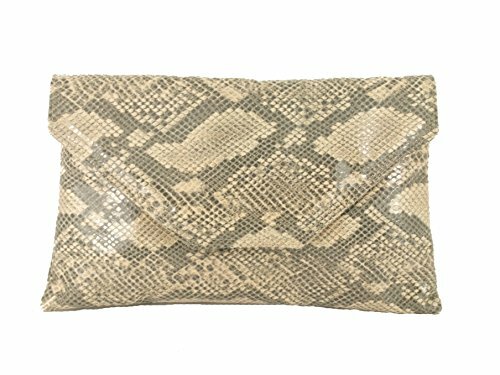 Lovely faux snakeskin envelope-style clutch bag that's a good size if you like to take a little bit extra out with you! This is a great occasion bag and will be the ideal finishing touch for any special occasion. If you are unsure of the colour or material - please request a FREE colour swatch for shoe matching etc.